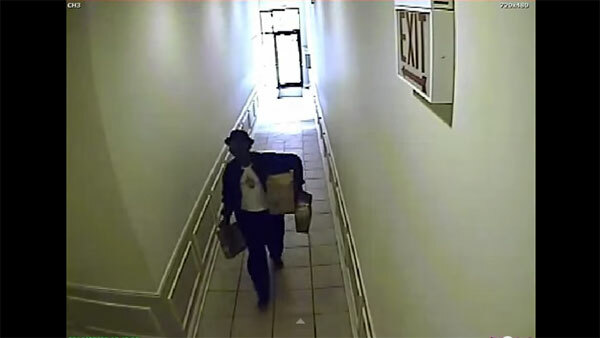 CHICAGO (WLS) -- Wrigleyville and Boystown residents are on alert for a prolific package thief who poses as a delivery man to gain access to buildings. Local crime blog Crime in Wrigleyville and Boystown reported that residents have posted warning flyers in the area of Diversey and Halsted where the thefts have taken place. The flyers say the thief poses as a delivery man to gain access to buildings, and then takes packages left by the mail area. The thief has been caught on security video has been posted to YouTube. Chicago Police said they are aware of the incidents and are investigating. They reminded residents they should only let people into buildings if they know they live there or if they can present keys.